The lesbian, gay, bisexual and transgender (LGBT) community has seen both significant progress and painful setbacks recently. 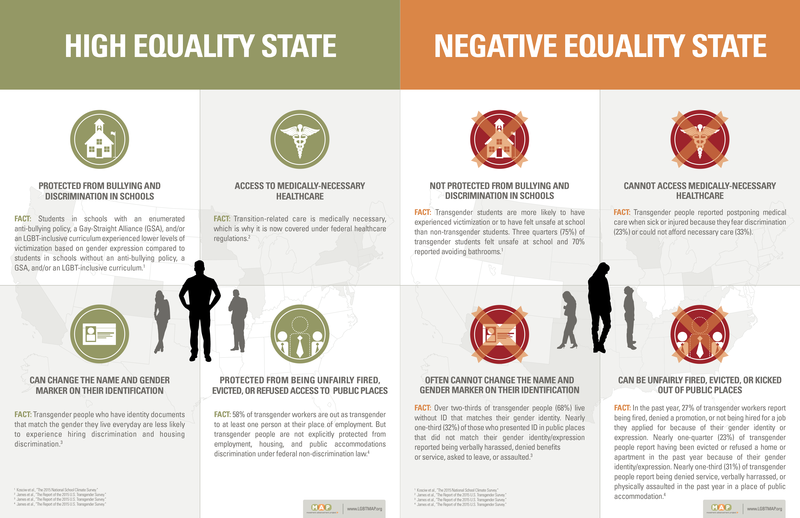 The 2015 Supreme Court ruling in favor of the freedom to marry was a major step toward legal equality, and there have been many successes since then at the federal, state, and local levels, including increased protections for transgender and gender non-conforming people. 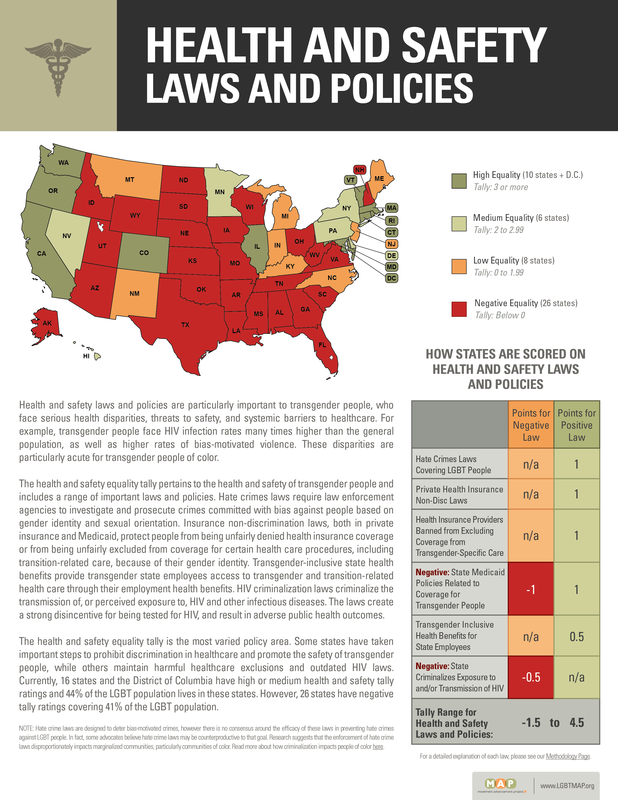 However, since the ruling, there have also been more than 200 anti-LGBT bills introduced in 20 states—and a recently leaked executive order draft suggests that the current administration intends to undermine established non-discrimination protections and open the door to a wide range of harms to the LGBT population. 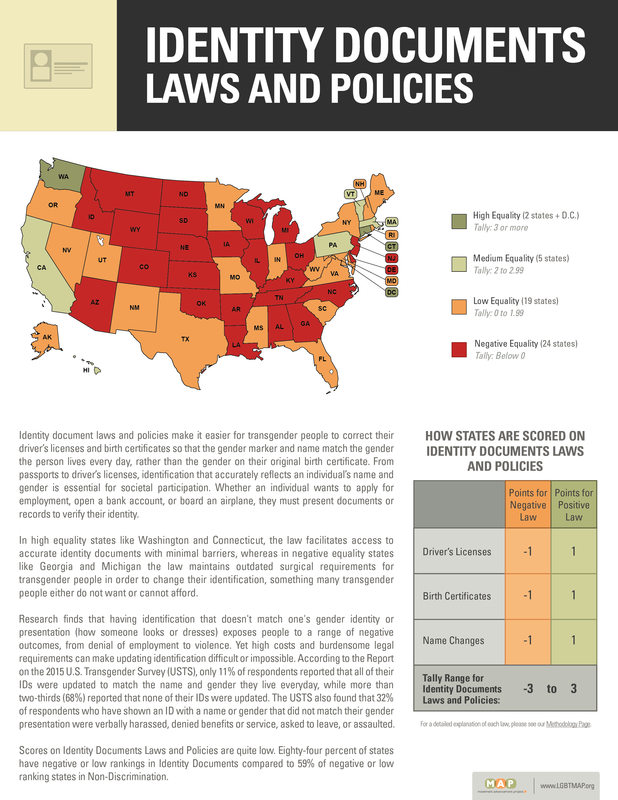 To help make sense of the current policy landscape in the states for LGBT people, and transgender people specifically, Mapping Transgender Equality in the United States looks at legal equality for transgender people across the country. 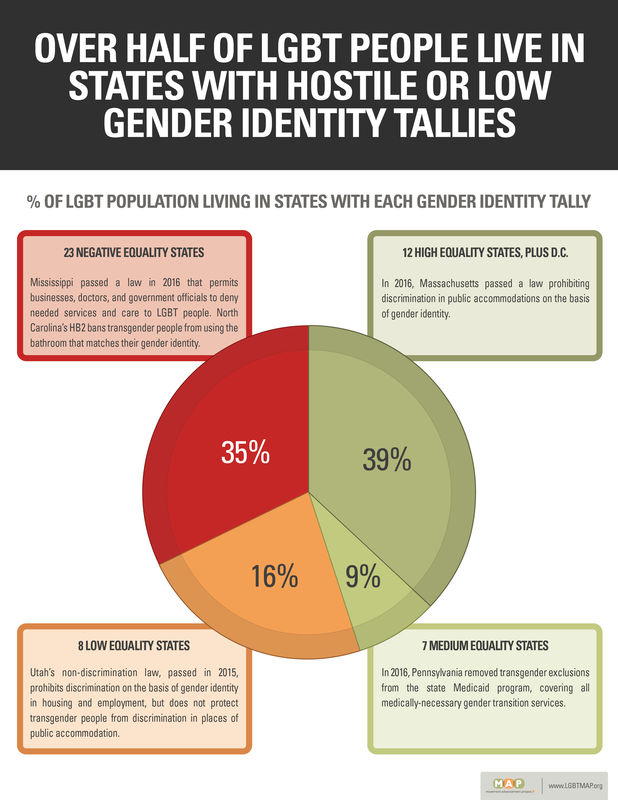 The gender identity tally is comprised of 25 state laws and policies in the five key categories of Non-Discrimination, LGBT Youth Laws and Policies, Health and Safety, Ability for Transgender People to Correct the Name and Gender Marker on Identity Documents, and Adoption and Parenting. Movement Advancement Project. February 2017. 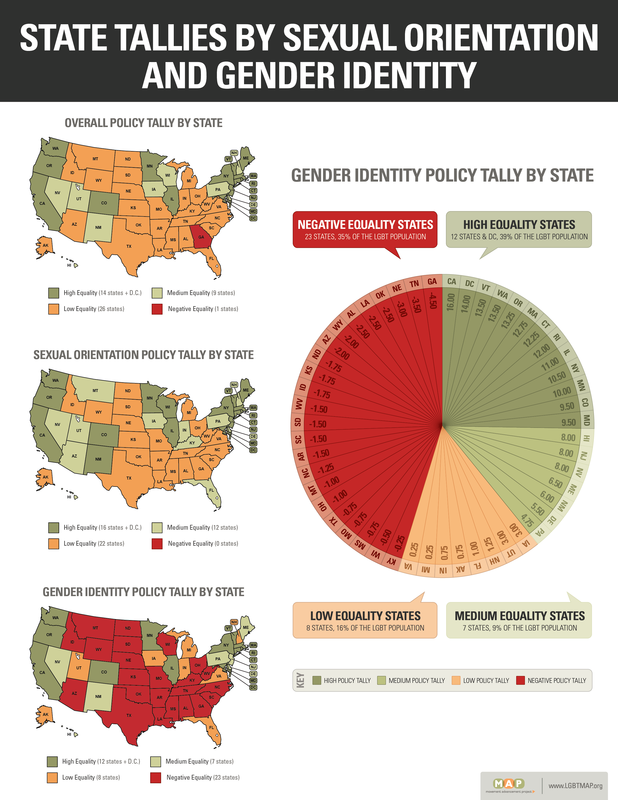 Mapping Transgender Equality in the United States. 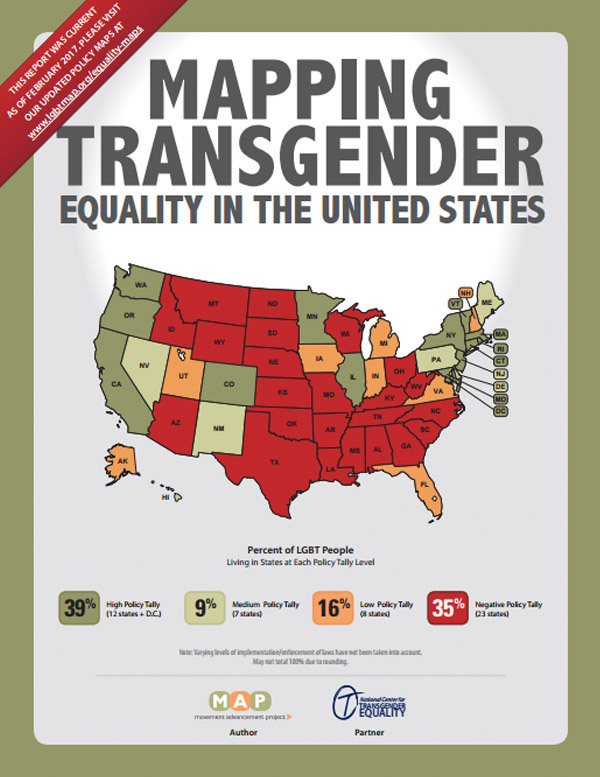 http://www.lgbtmap.org/mapping-trans-equality (date of access). 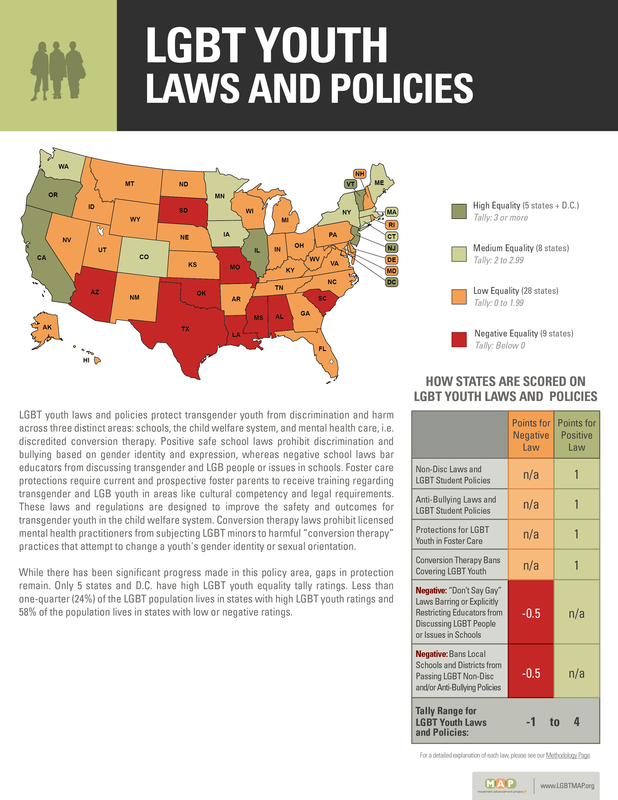 In this rapidly changing legal landscape, the Movement Advancement Project maintains LGBT Equality Maps, which track LGBT equality, populations, and other data by state. The maps are updated daily as changes in law, policy, and legislation occur. 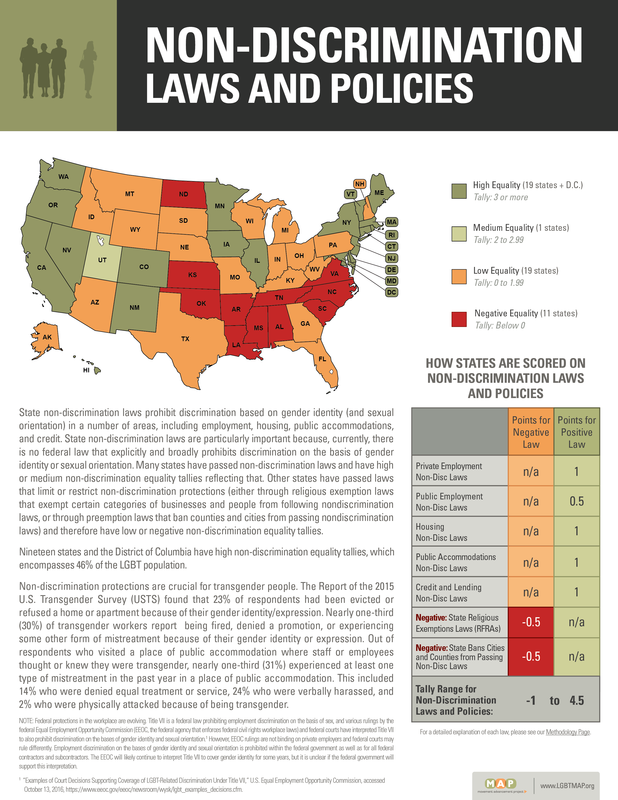 All Equality Maps, including high-resolution JPEG versions, are available for publication. 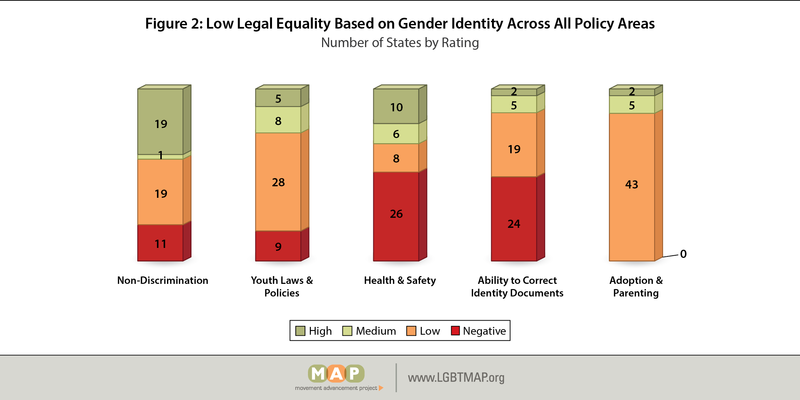 The LGBT Equality Maps allow websites to embed the maps easily and for free. Visit lgbtmap.org/equality-maps to learn more.